U.S. HISTORY 2012-13 Ms. Sexton. 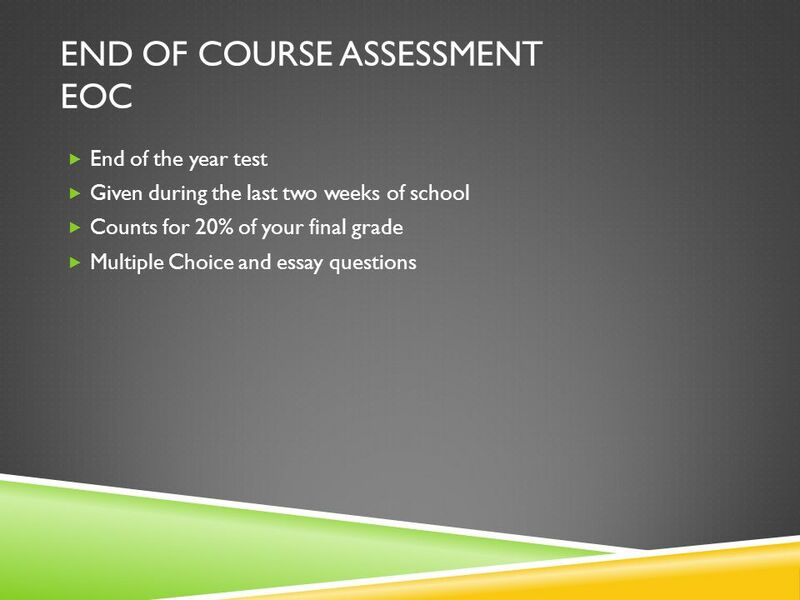 END OF COURSE ASSESSMENT EOC End of the year test Given during the last two weeks of school Counts for 20% of your final. 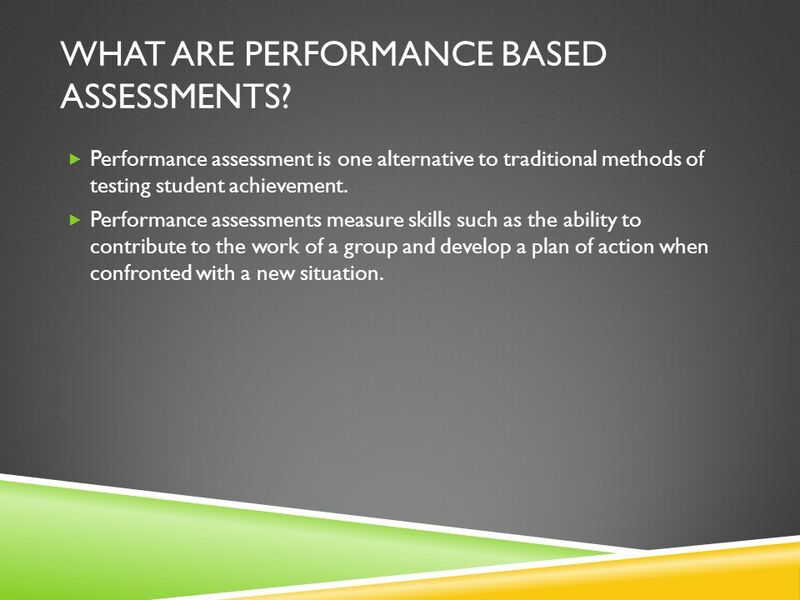 5 WHAT ARE PERFORMANCE BASED ASSESSMENTS? 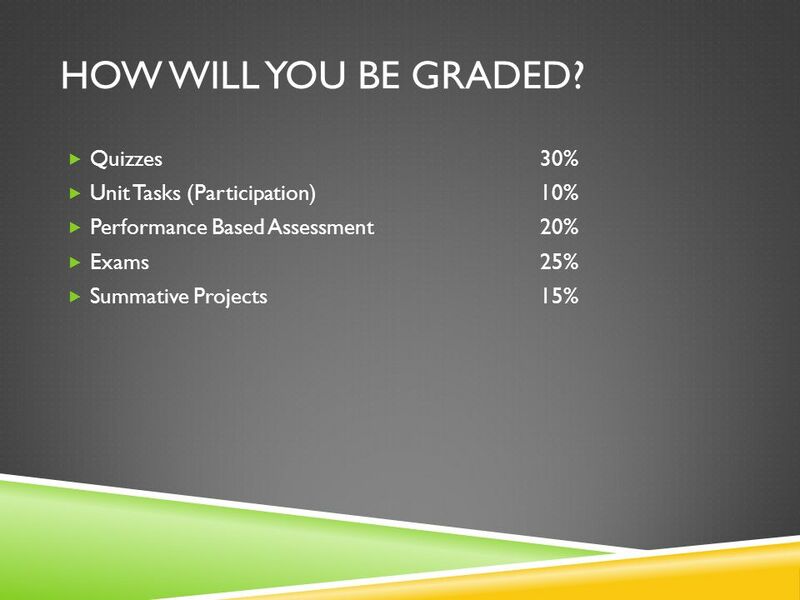 Performance assessment is one alternative to traditional methods of testing student achievement. Performance assessments measure skills such as the ability to contribute to the work of a group and develop a plan of action when confronted with a new situation. 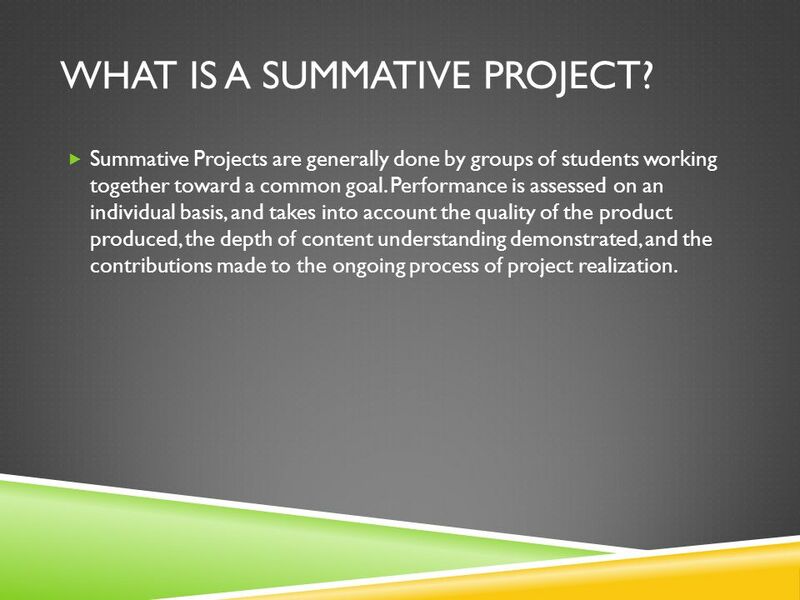 6 WHAT IS A SUMMATIVE PROJECT? 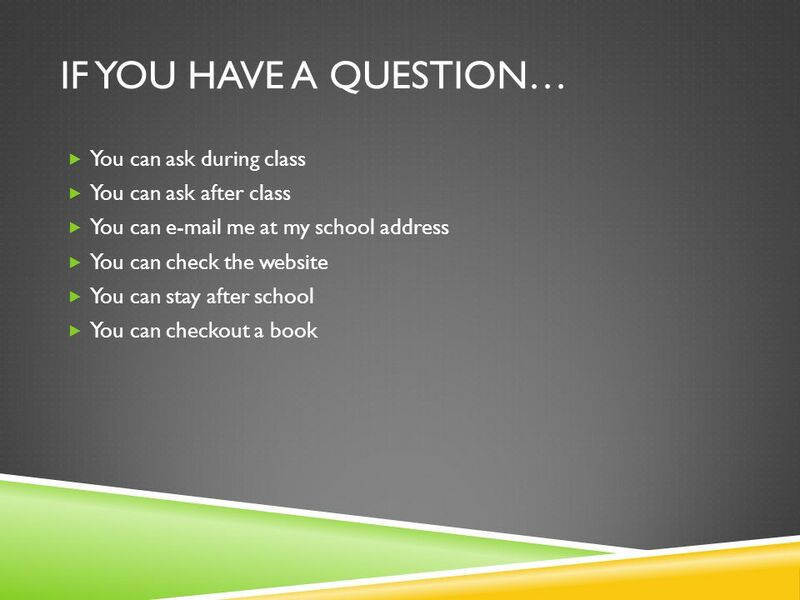 These activities are designed to answer a question or solve a problem and generally reflect the types of learning and work people do in the everyday world outside the classroom. 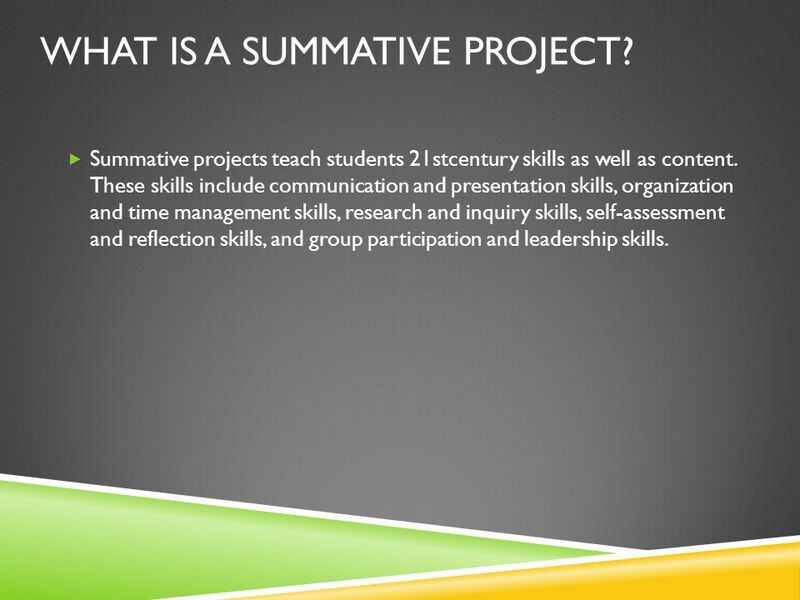 7 WHAT IS A SUMMATIVE PROJECT? 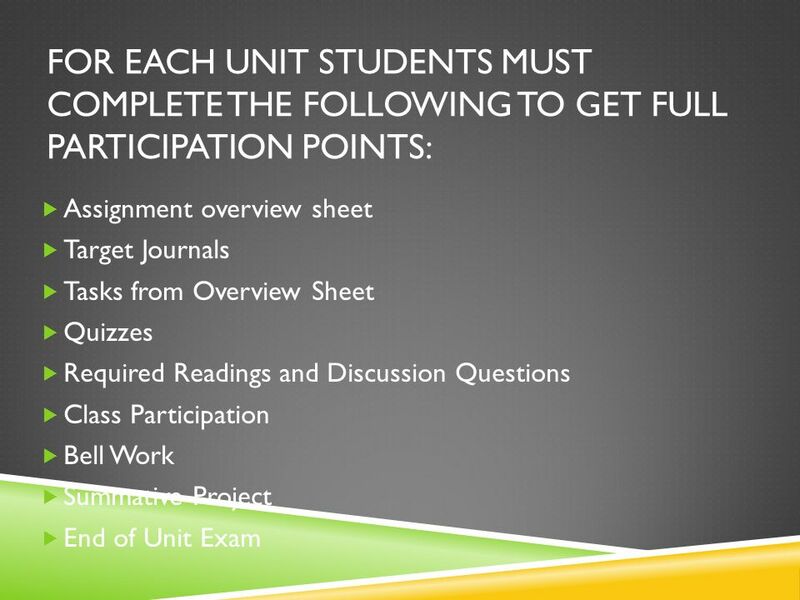 Summative projects teach students 21stcentury skills as well as content. 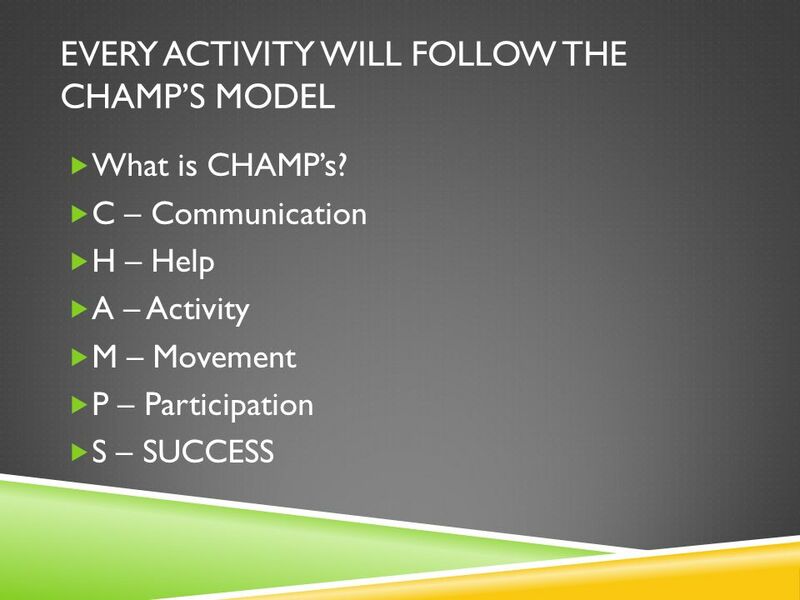 These skills include communication and presentation skills, organization and time management skills, research and inquiry skills, self-assessment and reflection skills, and group participation and leadership skills. 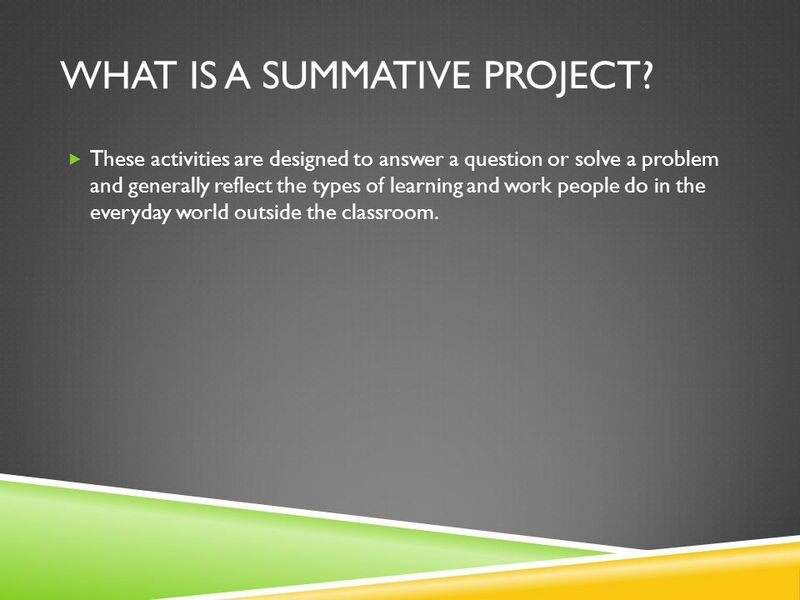 8 WHAT IS A SUMMATIVE PROJECT? 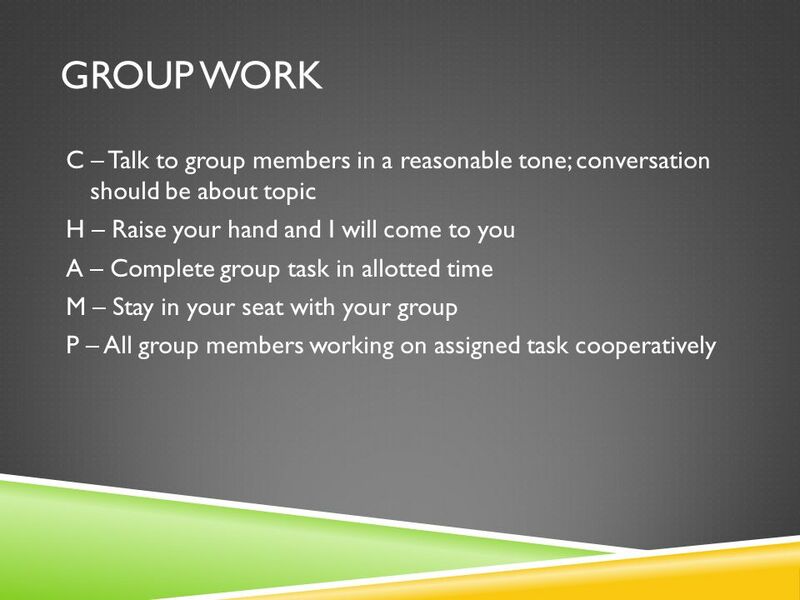 Summative Projects are generally done by groups of students working together toward a common goal. Performance is assessed on an individual basis, and takes into account the quality of the product produced, the depth of content understanding demonstrated, and the contributions made to the ongoing process of project realization. 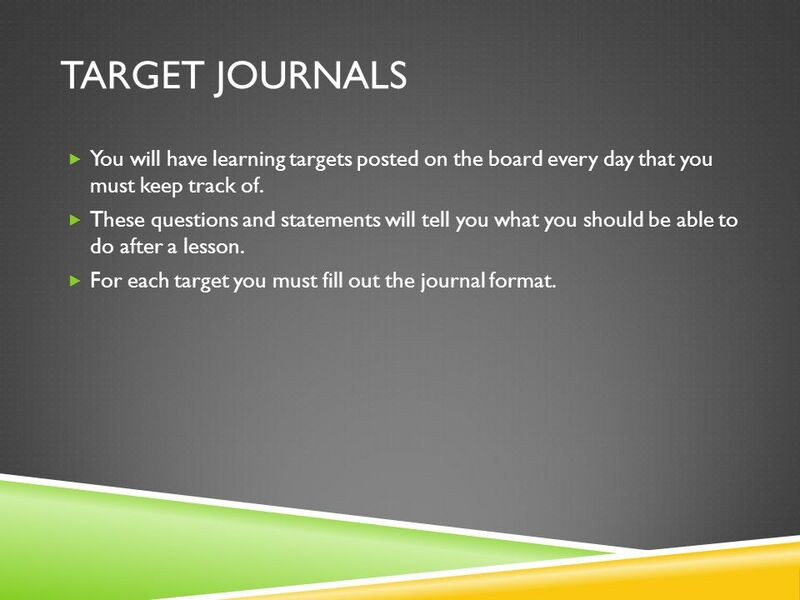 16 TARGET JOURNALS You will have learning targets posted on the board every day that you must keep track of. 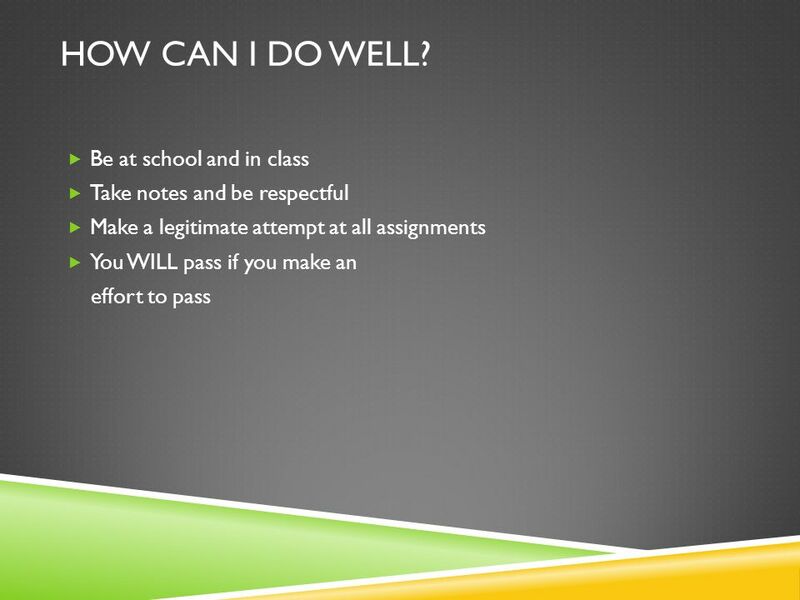 These questions and statements will tell you what you should be able to do after a lesson. For each target you must fill out the journal format. 17 LATE WORK If you are absent for a test, you must make the test up the day after you get back to school. 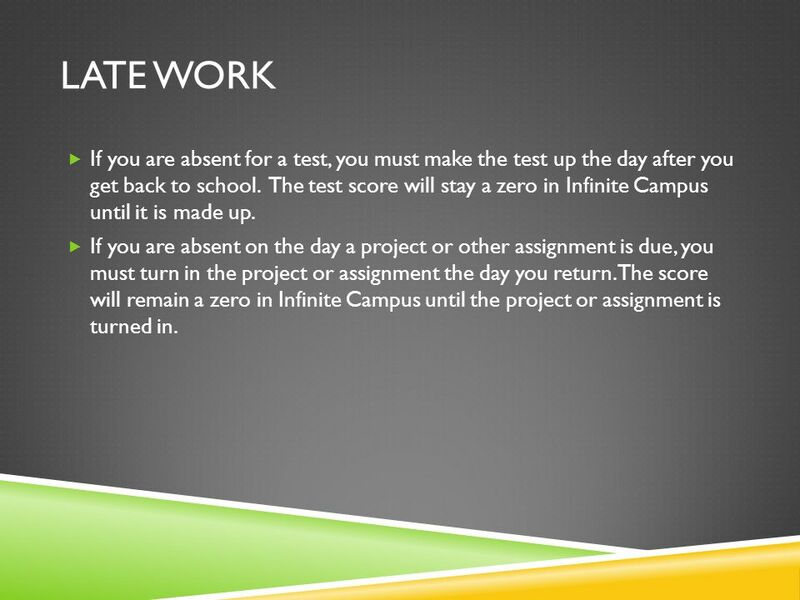 The test score will stay a zero in Infinite Campus until it is made up. If you are absent on the day a project or other assignment is due, you must turn in the project or assignment the day you return. The score will remain a zero in Infinite Campus until the project or assignment is turned in. 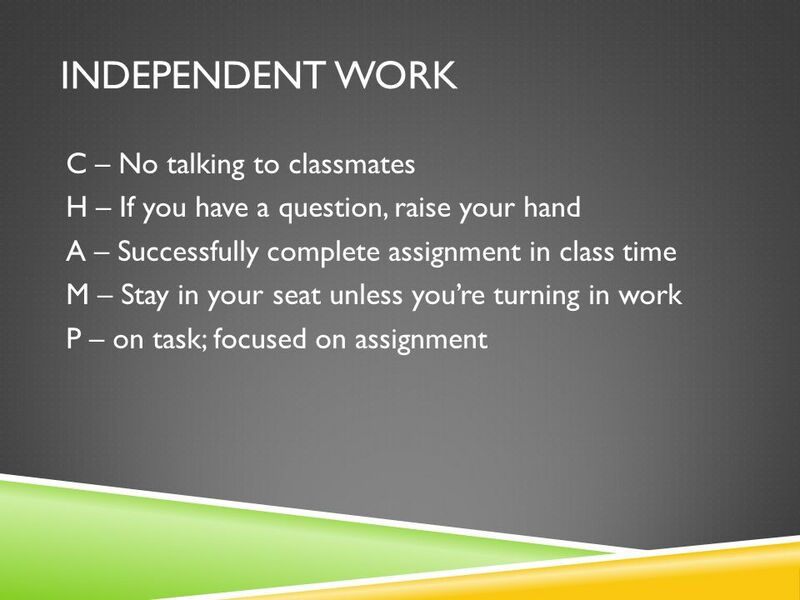 18 LATE WORK Each project or assignment that is turned in late, not due to an absence, will lose 10 points for every day that it is not turned in. 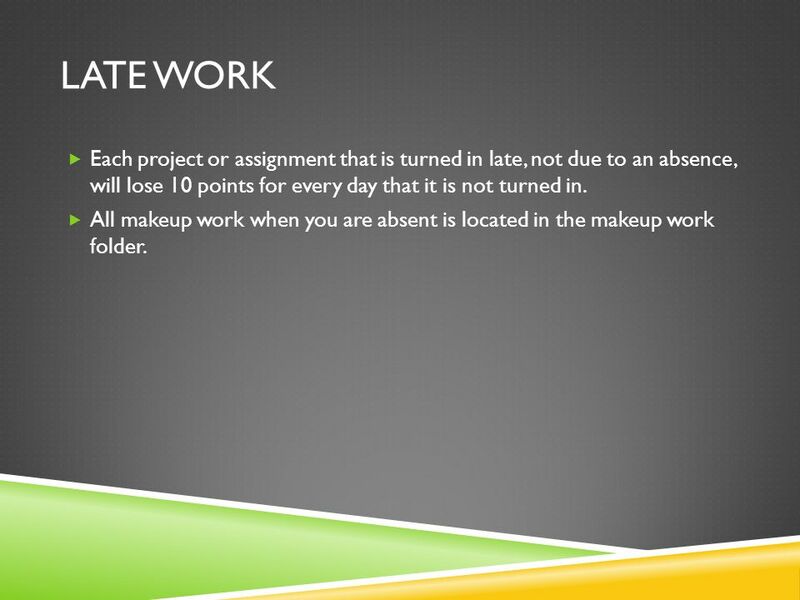 All makeup work when you are absent is located in the makeup work folder. 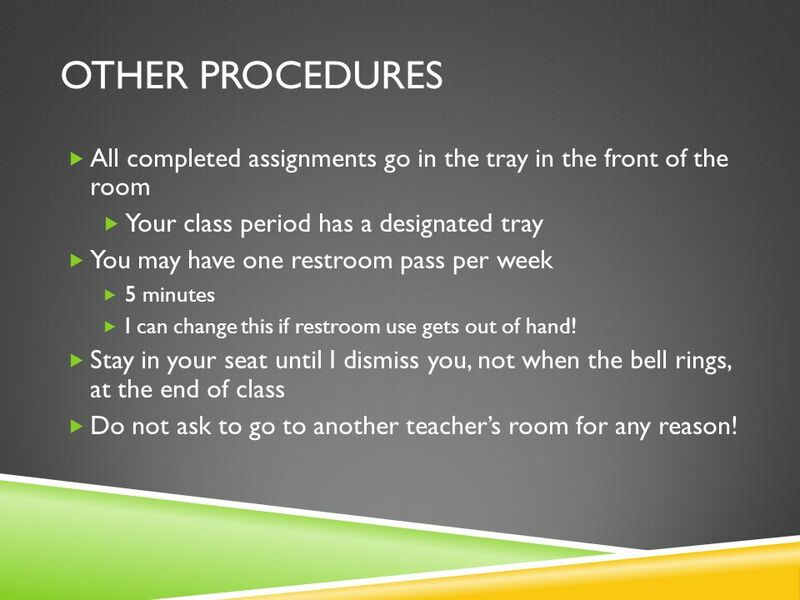 24 OTHER PROCEDURES All completed assignments go in the tray in the front of the room Your class period has a designated tray You may have one restroom pass per week 5 minutes I can change this if restroom use gets out of hand! 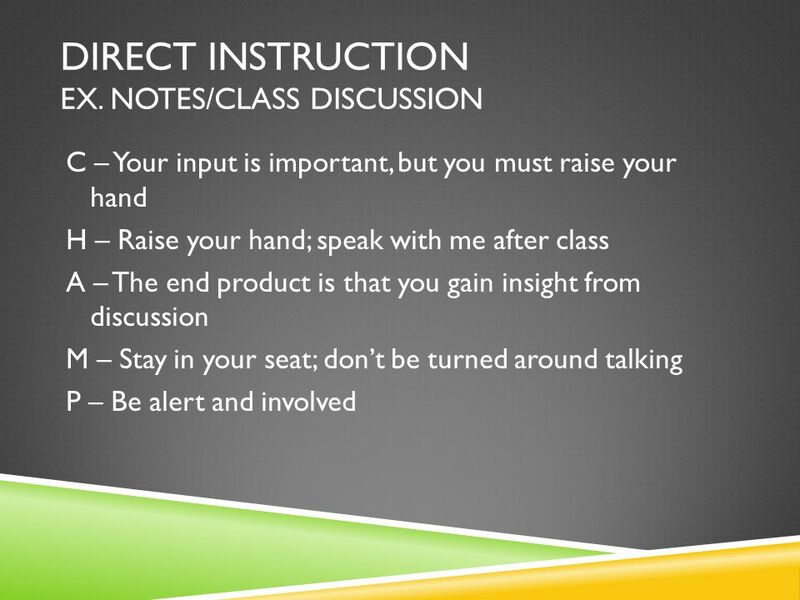 Stay in your seat until I dismiss you, not when the bell rings, at the end of class Do not ask to go to another teachers room for any reason! 25 TUTORING I typically stay after school for additional help on Tuesday and Thursday until 4:30. 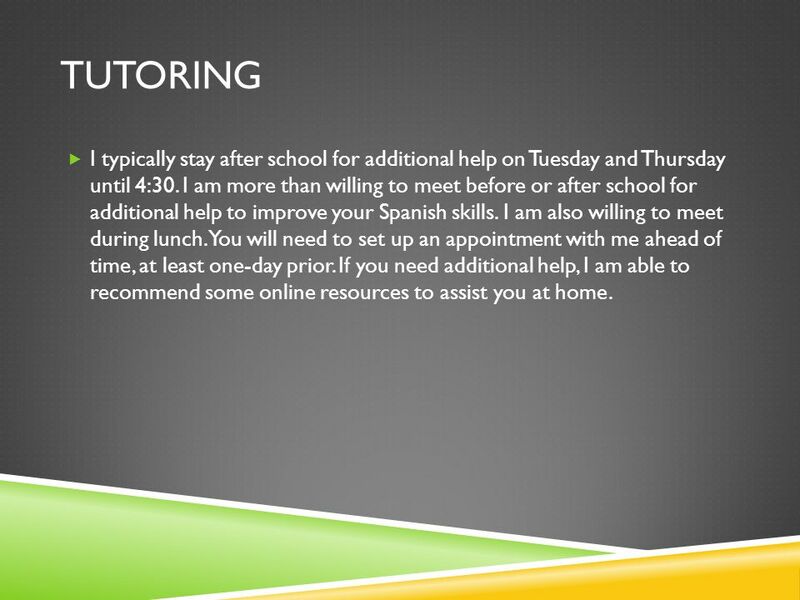 I am more than willing to meet before or after school for additional help to improve your Spanish skills. I am also willing to meet during lunch. You will need to set up an appointment with me ahead of time, at least one-day prior. If you need additional help, I am able to recommend some online resources to assist you at home. 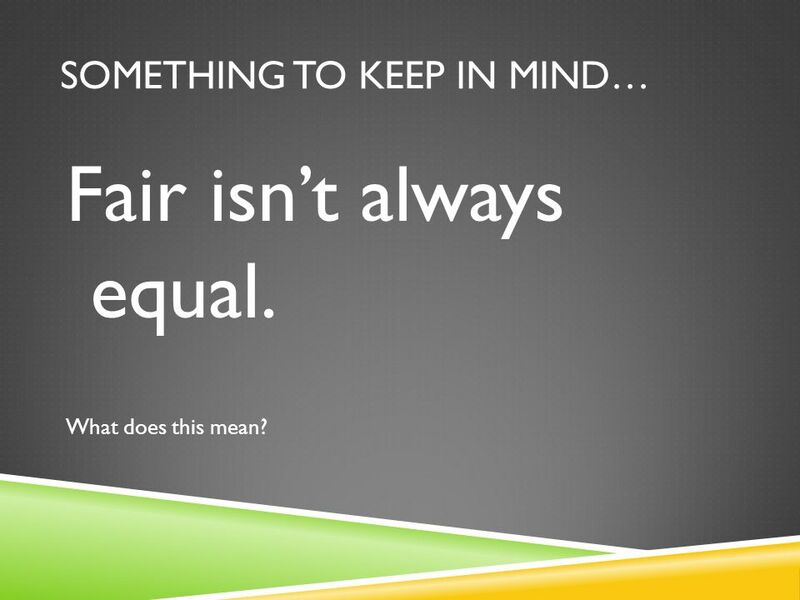 26 SOMETHING TO KEEP IN MIND… Fair isnt always equal. What does this mean? 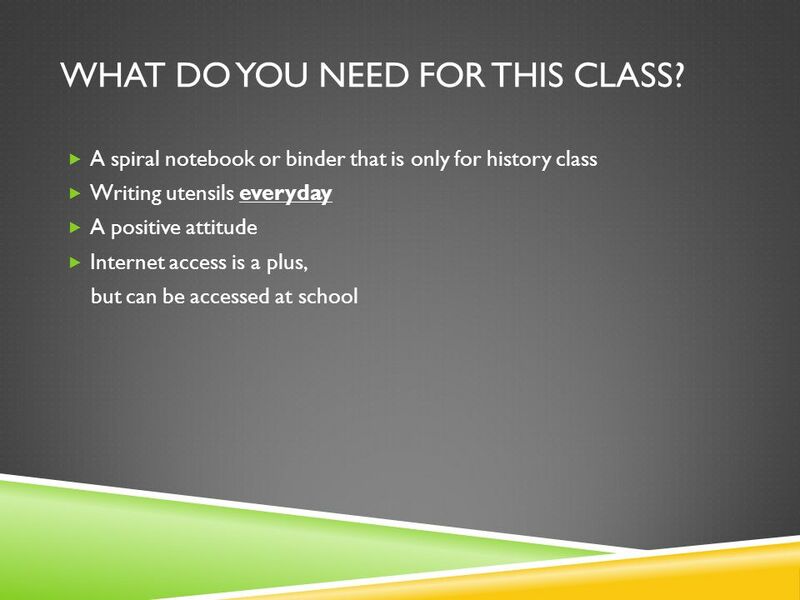 Download ppt "U.S. HISTORY 2012-13 Ms. Sexton. END OF COURSE ASSESSMENT EOC End of the year test Given during the last two weeks of school Counts for 20% of your final." Spanish II Ms. Sexton. What will you learn? Rough Agenda Agosto Unit 1Review Concepts from Spanish I SeptiembreUnit 2El Restaurante Septiembre-OctubreUnit. MS. SHERIDAN LANGUAGE ARTS Room A4 WELCOME TO CLASS. Where I’m From.... My Education.... My Family My Expectations Be kind to one another Be prepared (mentally & physically) Produce quality work Stay. WELCOME BACK TO CROSBY And welcome to U. S. History. Please choose a seat near the front and wait for instructions! Choose wisely! Don’t sit next to someone that will distract you! Welcome to ELA/R!!! Mrs. Daniels. 1. 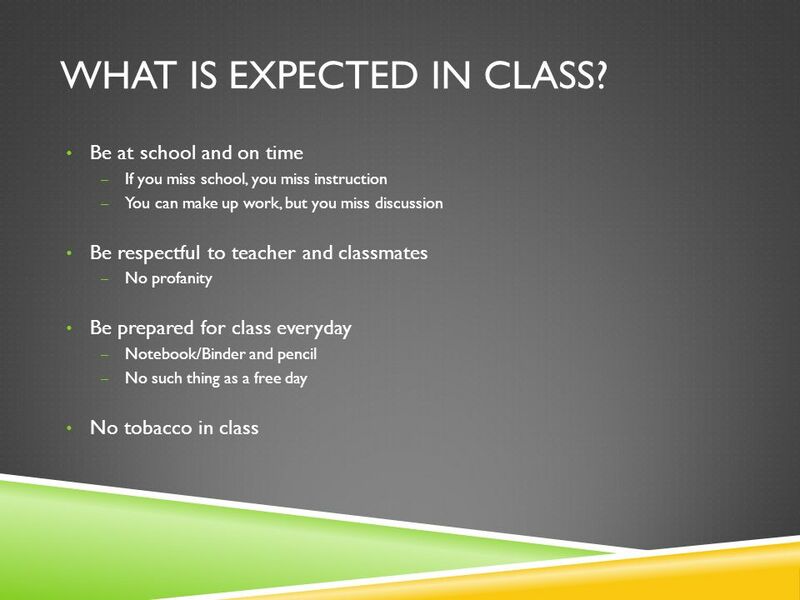 2 Homeroom Expectations (Room 309 )  Be in the classroom before the second bell or you will be marked absent.  No talking during morning announcements. Mrs. Davis’s Class. 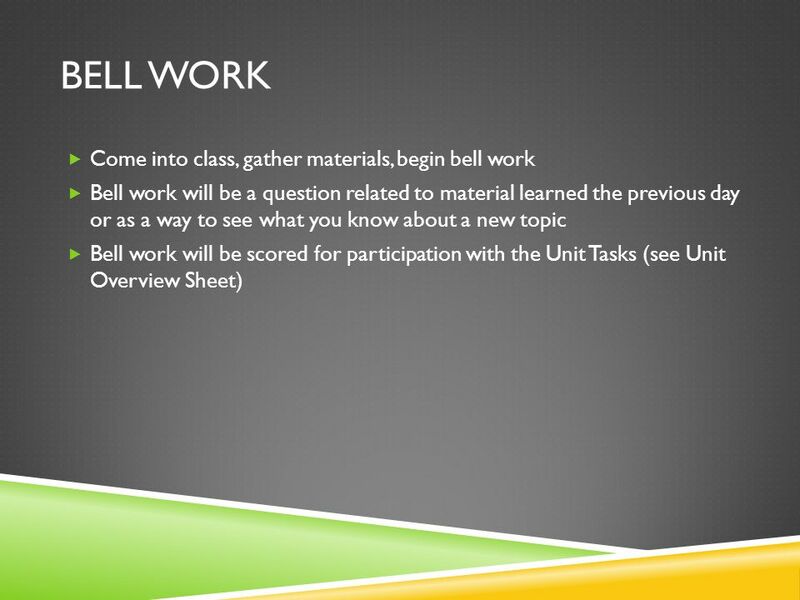 Parent Letter  Please have parent’s read the letter along with the syllabus. Once they have read the entire packet and fill out the. 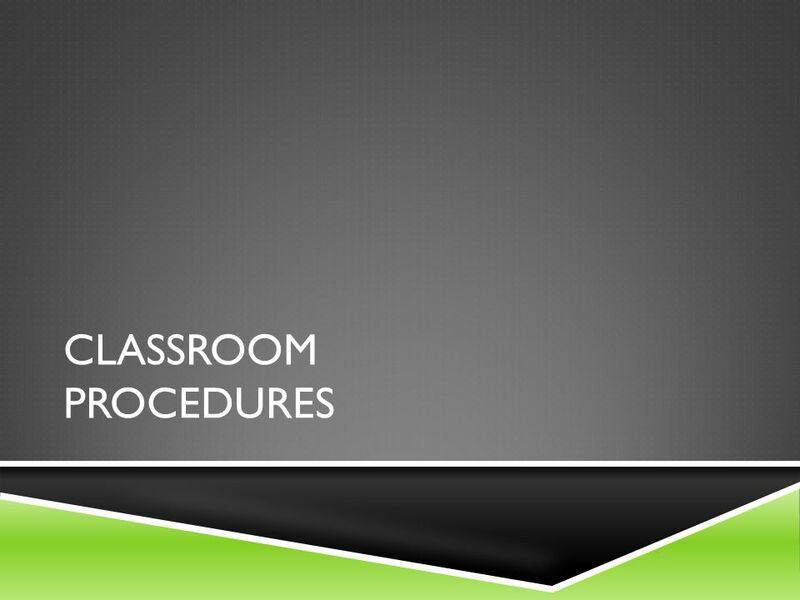 BASIC TRAINING Mrs. Carlson’s Classroom Behavior & Procedure Guide. 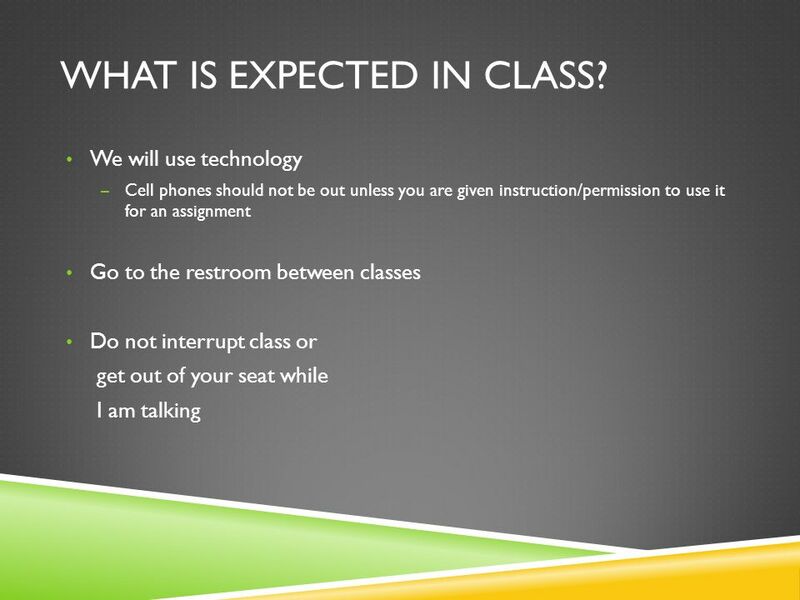 CLASSROOM PROCEDURES Mrs. Wibel Room 228. Welcome Welcome to Mrs. Wibel’s class. I am here to teach; you are here to learn. I will do my job; you will. Please choose a seat and wait for instructions! Choose wisely! Don’t sit next to someone that will distract you! Spanish I Ms. Sexton. 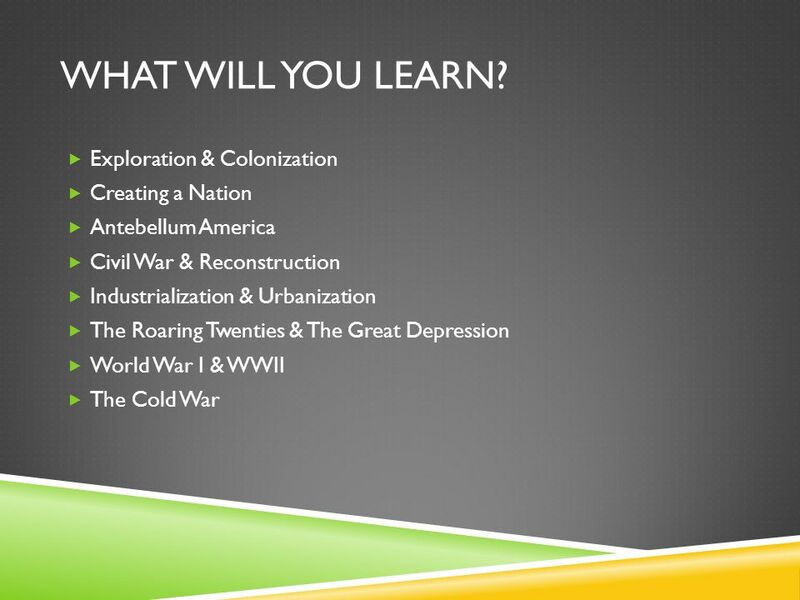 What will you learn?  Rough Agenda  Agosto – SeptiembreUnit 1—Introduction and Beginning Spanish  Septiembre – Octubre.